Asiad Steels is one of the well-known suppliers of Monel 400 Fasteners. 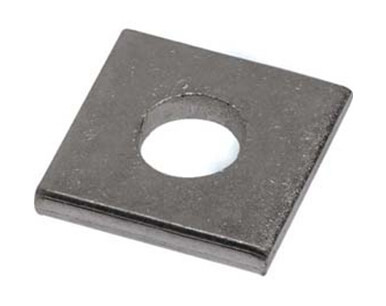 We also offer the same in different types such as Monel 400 Nuts, Monel 400 Bolts, Monel 400 Washers, and Monel 400 Stud Bolt. All of the products are quality tested depending on various parameters to ensure that our customers receive flawless products. Monel fasteners are made from a nickel-copper alloy and exhibit high strength, toughness and good corrosion resistance over a wide temperature range. Monel 400 is composed of a high –nickel and copper alloy that is only hardened by cold working. Monel 400 Fastener has special quality finishing and duress for long life, high pressure and zero defects. 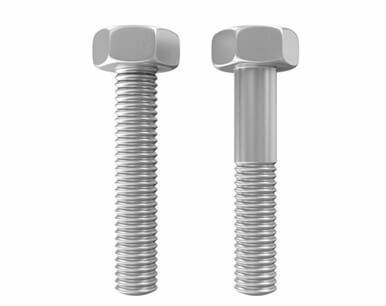 Monel UNS N04400 Fasteners is also very resistant to hydrochloric and hydrofluoric acids when they are de-aerated. Monel Alloy 400 also offers fine mechanical properties from subzero temperatures up to about 480C. Our products are demanded in several other countries and we even deliver large shipments in a punctual fashion. 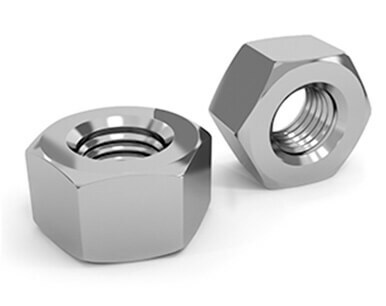 Monel 400 fasteners are appreciated in the market for their attributes such as sturdy construction, dimensional accuracy and resistance against corrosion & abrasion. These Monel fittings discover applications in different commercial ventures and parts and are referred to for components, for example, dimensional exactness, consumption safe and better execution. Monel 400 typically finds application in marine engineering, chemical and hydro-carbon processing, heat exchangers, valves and pumps. Buy Alloy 400 Fasteners at reasonable rates from us. We manufacture these products to your custom specifications, and we guarantee to meet your delivery schedule. We are Exporter of Monel Alloy 400 Fasteners in Worldwide Such as India, Bulgaria, Italy, Argentina, Hong Kong, Bhutan, Bahrain, Vietnam, United Arab Emirates, Mexico, South Korea, Philippines, Turkey, Ireland, Brazil, China, United Kingdom, Jordan, Finland, Bangladesh, Poland, Switzerland, Portugal, Nigeria, Spain, Azerbaijan, Ukraine, Israel, Pakistan, Tibet, Singapore, Gabon, Sweden, Iraq, Namibia, South Africa, Canada, Angola, Japan, Trinidad & Tobago,Tunisia, Kazakhstan, Ghana, Ecuador, Greece, Lithuania, Bolivia, Peru, Lebanon, Czech Republic, Romania, Poland, Taiwan, Mongolia, Afghanistan, Morocco, Netherlands, Venezuela, Norway, Yemen, Australia, Indonesia, Algeria, Mexico, Russia, Kuwait, India, Libya, Costa Rica, Egypt, Gambia, Hungary, Germany, Belgium, Malaysia, Kenya, Croatia, Estonia, Nigeria, Iran, France, Colombia, Iran, Chile, United States, Zimbabwe, Chile, Austria, New Zealand, Belarus, Slovakia, Denmark, Puerto Rico, Sri Lanka, Oman, Nepal, Qatar, Macau, Saudi Arabia, Serbia, Thailand. We are Suppliers of Monel 400 Fasteners in India Such as Mumbai, Aberdeen, Ho Chi Minh City, Mumbai, Melbourne, Ahmedabad, Secunderabad, Istanbul, Jamshedpur, Dallas, Ernakulam, Thiruvananthapuram, Caracas, Muscat, Faridabad, Port-of-Spain, Doha, Al Khobar, Ankara, Navi Mumbai, Ahvaz, La Victoria, Kolkata, Bhopal, Perth, Hanoi, Howrah, Haryana, New York, Al Jubail, Nagpur, Riyadh, Seoul, Edmonton, Manama, Gurgaon, Vadodara, Surat, Rio de Janeiro, Petaling Jaya, Sharjah, Atyrau, Montreal, Hong Kong, Cairo, Houston, Ulsan, Chennai, Jaipur, Bengaluru, Thane, Santiago, Indore, Busan, Colombo, Chandigarh, Kanpur, Courbevoie, Lahore, Sydney, Rajkot, Hyderabad, Dubai, London, Noida, Kuwait City, Pune, Ludhiana, Jeddah, Madrid, Kuala Lumpur, Bogota, New Delhi, Lagos, Vung Tau, Nashik, Baroda, Ranchi, Granada, Toronto, Mexico City, Geoje-si, Pimpri-Chinchwad, Tehran, Jakarta, Abu Dhabi, Coimbatore, Dammam, Singapore, Algiers, Karachi, Milan, Visakhapatnam, Calgary, Brisbane, Los Angeles, Gimhae-si, Bangkok, Moscow, Chiyoda.